Sugarland Mountain, A Sweet and Solitary Hike! Sugarland Mountain Trail has views, wildflowers, and solitude! 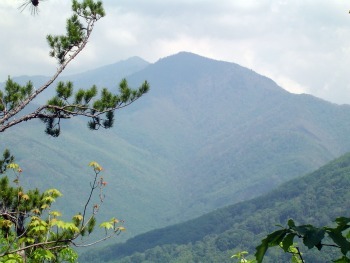 It's a great way to spend a leisurely day in the Smokies. 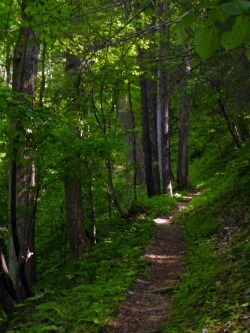 The trail runs parallel to Newfound Gap Road. It runs from Clingmans Dome Road to Little River Road (near Laurel Falls). The best way to hike it is to start at Clingmans Dome and end at Little River. Of course, you'll need to arrange to be dropped off and picked up or do a two-car shuttle. If you can make it happen, I definitely recommend hiking all 12 miles of Sugarland Mountain. If not, it's still worth hiking portions of it and backtracking. 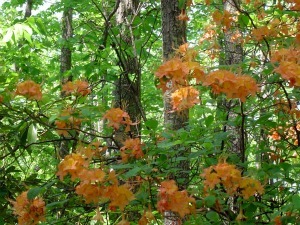 I also some flame azalea in May when they're usually not in bloom yet in other parts of the Smokies. You never know what beautiful things are waiting for you out on the trail! Approximate Elevation: Starts at 6000' at Clingmans Dome Rd. Trail descends to 2300' at Little River Rd. where it ends.